Published by Dimira Teneva in Ecommerce strategies for growth. 13 mins to read. Ecommerce is a wonderful field – anybody can start and succeed. The community is huge and you can ask for advice people with all kinds of experience and background. But I see in many discussions among ecommerce entrepreneurs is that some still believe the simple guiding rules some guru wrote long ago, when commerce was young and competition was smaller. “Just put $5 there and it’ll start pouring.” or “Find a Chinese supplier, put up a site and never work again.” BS. Unfortunately, most simple formulas don’t work. Ecommerce is evolving and what worked last year doesn’t any more. 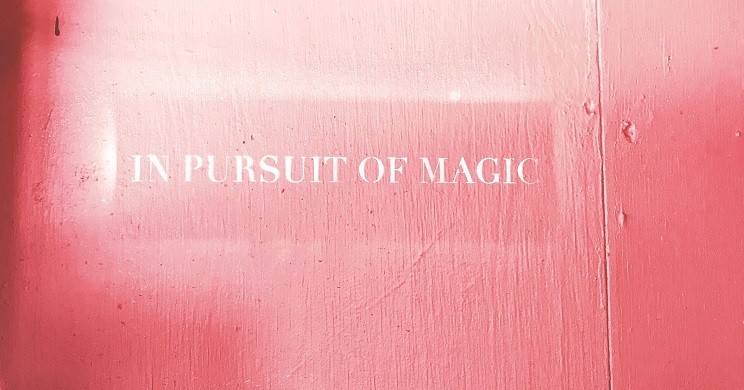 Businesses are very different and not one outsider can tell you the magic recipe for success for yours. But what I can tell you is what is a myth in ecommerce and why you should not believe them. If you want to build a stable online business, sell more and be profitable, here’s what to do instead. Myth 1: Open your store and buyers will come. No, they won’t. The Internet is a huge place and the only way for anybody to find you is to invite them and make yourself visible. My advice: You have to be present where people search for products and start appearing in front of your audience’s eyes. When competition comes from everywhere, you should be building brand awareness to stand out. Myth 2: I can sell any products of any quality. “What niche to start with?” is one of my favorite questions by budding entrepreneurs. Well, start with products that you like and are knowledgeable about. I can’t understand how people expect to sell something they don’t like or know anything about. Like, men selling reusable feminine hygiene products or college students selling baby clothes. I’m sorry, but you need a certain level of expertise in what you’re selling even if you don’t make the product. How else are you going to nail the marketing? And another point, it’s not just about selling what’s easy to find and cheap. There’s not much to earn from price-conscious buyers and crappy trinkets are no fun to sell. Why not sell something that excites you? That can gather a devoted fan base and turn into a lovemark? An interesting product with identity and distinctive quality. People increasingly care about quality and want to spend their money on products with transparent value chains and an exciting back story. If you know and care about your product, selling it will be easier – people will see you’re authentic. And that can be a successful and sustainable business. My recommendation is to go after niche products in high demand, where demand is based on quality, not price and you can build a long-term profitable relationship with your audience. Margins are better and you won’t be part of the discounting madness. I want to flip a table every time I read this in comments in merchant groups. Someone isn’t getting any traction and – imagine – $5 a day could save them. 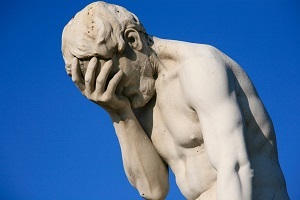 The average cost per click on Facebook is $1.72. The average cost per click for apparel is $0.45. The average cost per click for beauty is $1.81. 5 million businesses actively advertise on Facebook. How far do you think $5 will get you? The problem is that it’s not just you and your direct competitors bidding on that target audience. It’s everyone who want to sell to “female, 25-34 years old, living in Latvia, interested in fitness, sport and dieting”. That’s an awful lot of companies with all kinds of products, trust me. If that myth was true, none of us would ever need another form of marketing. But that’s absurd – there are so many other ways of getting to your audience (those people might not even be on FB!) and driving traffic to your store even for free. What to do then? Test different budgets and find what works for you on the platform. Then go to other channels (paid and unpaid) and do the same until you’re getting the traffic you want. Don’t settle for the minimum – it’s alright to pay/ work more at the beginning to find your perfect customers. Myth 4. They click on my ad, come to the site and buy. That’s the customer journey. Well, not exactly. Only 4% of the people who land on your site, buy right away if they haven’t heard about your store before. Chances are, the first time they’ll visit your site, look around and leave. That’s why you need well-designed conversion funnels in place to guide them and lead to orders eventually. It might not happen the same day, but it’s much better than depending on single click visits. The funnels should show off your best items, reviews, content so people get to know your brand and start trusting you, and engage later to keep you in their mind. Here are 3 different conversion funnels you can consider that keep the visitor engaged with the brand until they finally make a purchase. Takeaway: The customer journey is what you make it. You can be pumping money into ads and still get no sales if you leave the visitors to figure out their way around your site. So draw a path and show them around to lead them to the goal – making a purchase. Myth 5. A sale is a sale. It doesn’t matter how big it is. When you’re first starting out, every $10 in your bank account feel like top of the world. But soon you’ll be in a position to think about profitability and it does matter how big are the orders you’re getting. Because what you put in your pocket is eaten away by all kinds of things: cost of goods, acquisition costs, shipping and handling costs, rate of returns, other overhead. The costs for selling a $5 or a $50 order are usually similar because you advertise once, print one label, package and deliver once, support one customer and so on, and so on. Since each additional item added to the order earns additional margin as well, it’s much more profitable to increase average order value (AOV) than to work for separate orders. Looking for long-term profitability? Here’s how AOV impacts profits in the long run. So? Not all sales are the same. Not all orders actually make you money. To stay in business, revenue is not the ultimate metric, profit is. Find ways to optimize your returns for the efforts you make. Myth 6. Just make the sale and that’s it. Building on my previous point, if you want to stay in business and make a living for yourself, you should care about repeat sales and customer retention. You work hard, get traffic, convert visitors to customers and then what – just let them go? I don’t get that. Do you prefer paying over and over for new customers or keeping close the ones you already have and making easier sales? I wouldn’t rely on new customer acquisition only all the time. I’d work to get more orders from my existing customers and more often. This will save me marketing costs and will earn me loyalty, trust and positive reviews. A brand with repeat buyers is solid, on the right track answering to customer demands. 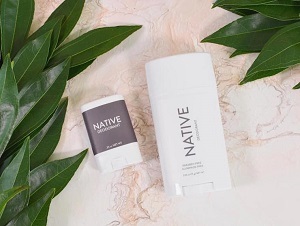 You’ve probably heard of the latest ecommerce acquisition deal by Procter & Gamble – the natural deodorant Native. $100 Million in cash. Well, Native is a client of ours and let me tell you – its founder Moiz Ali made sure customers love the products and are actively engaged in their development. He built his whole marketing strategy around this relationship and got 50% of all sales coming from repeat orders. What can you do? Focus on customer retention instead of relying on one-timers. Earn more for the CAC you paid. Form sweet relationships with the people who like your products and step on that strong base for developing your brand. I understand it’s easier not to care who the people behind the orders are but you need that knowledge if you want to sell to them again and others like them. The more you know about those people, the better you can market your solution to their pains and needs. What they buy, how often the shop, where they come from and how they found you are important questions to answer. That’s why it’s normal to start out with a few buyer personas in mind as guidance for you marketing. Then, as you go, you should be monitoring how the different customer cohorts perform and adjust your sales strategy from there. You’ll see not all customers act the same and some groups are worth more effort to keep. Others are not the right audience and will make returns, complain and leave bad reviews. My advice? Don’t try to sell to everybody. Find your people who need and understand your product to build a strong following and gain brand ambassadors. The rest are a distraction and don’t get you long-term profit. Myth 8. One monthly email newsletter to all subscribers will be enough. I’m rolling my eyes here. This might work for a company in a very old-fashioned industry with a very traditional audience that’s close to retirement. Other than that, email newsletters are one of the best communication methods any brand can own and not using them to the maximum potential is a waste of money. One size doesn’t fit all. Segment your subscribers into meaningful groups and tailor the messaging, frequency and offers accordingly. Once a month is not enough. Proactively engage subscribers when it’s time to reorder and react to their specific actions with behavior-based automated emails. Emailing your whole list will take forever. Here’s why. One email won’t be effective for all in terms of design, CTA, subject line, copy and images. Here’s how to send effective ecommerce emails. Myth 9. It’s the customer’s job to put in their details and make the order. You might be surprised as I was when I read that in one seller community discussion. This seller refuses to take orders on the phone (even though her clients insist) because she believes it’s not her job to input the order when she’s already created a site for that. Ok, it’s true ecommerce is largely self-service, but in some parts of the world and among older generations people still want the personal contact and prefer to place an order this way. Note – they want to buy and call the seller proactively! And she doesn’t want their business because she “can’t do their job for them”. Well, it’s not their job to give you money. It’s your job because you’re making money out of it. So make it easier at every step for customers to give you that money. If that means pay on delivery – so be it; taking orders on the phone – fine; making order history available in user profiles for easy reorders – you win. Whatever your clients prefer. How not to lose sales: adapt to the market you’re in. It might mean more employees, but it also means more happy customers and that’s what matters. You’re in the position to simplify things and remove obstacles so people don’t get frustrated with the shopping experience and leave. Myth 10: I don’t need to look at any data and reports to stay in business. If you don’t check how you’re doing, what do you look at? There’s some money coming in to your account so all’s good? I talked to a client once who had been in ecommerce for quite some time and started looking at his numbers only after he got kids to take care of. I was stunned. How he had managed to stay in business for a few years is still a miracle for me but, I assure you, he’s lucky. There’s no way you can keep up if you don’t know what’s happening. for how long do you retain customers, what’s the average order you get, are you growing in sales….? There’s a lot that impacts your business and if you don’t know how sales actually happen for you, how are you going to drive more of them? They’ll uncover problems and roadblocks and reveal opportunities. Sticking to KPIs will keep your budgets under control and margins healthy; will give you focus for optimization and development ideas. How to rely in data when growing your online store? Important: Data and reports help you be in control of your business. It’s awesome that in ecom you can see and measure everything that’s happening in contrast to physical stores where you can’t track every visit. Data is knowledge, knowledge is power – use it. Myth 11: Ecommerce is a passive income business. We all admire Tim Ferris for building a lifestyle business. However, until you’re able to hire enough people and completely remove yourself from the business, you’ll have to be very active in every side of the business. You can’t just set it and forget it – there will always be something to optimize, something to fix and something to push. The site is only one thing to take care of and then come other sales channels, social media, affiliates, packaging, marketing, new product development, manufacturers, suppliers, shipping companies, customer service and relationship management, accounting issues, and all kinds of other stuff I’m probably missing right now. It’s a smart move to automate and outsource as much as possible early on, and focus on the things you are good at and enjoy doing. Tools like Metrilo as well as agencies can help you with that. If they don’t allow cookies, I’ll cut their access to my site. Seriously – someone said that. Biggest myth ever. I know GDPR is a painful topic, but one thing is certain: rules are getting stricter if you work with EU customers. On this particular example – if users don’t explicitly state their consent to cookies, you cannot track them and you cannot restrict their access to your site either. Proff available here and here. Talk to a lawyer and protect yourself from fines you don’t need. Have you encountered some other myth in the ecom space that proved to be wrong? Share them with us! Let’s bust them and rid the industry of misconceptions. Dimira is the Metrilo's Content Manager. With experience in FMCG and marketing, she writes to help the brands of tomorrow succeed and believes passion is a key ingredient in any business. Learn to use the power of data and turn it into sales. If you want to grow your ecommerce business with data-driven decisions, subscribe for our email newsletter and you’ll be the first to get our content + exclusive examples you can’t read anywhere else. "Metrilo is awesome - it combines power analytics so we make decisions faster and marketing automation tools to drive more sales on autopilot!"